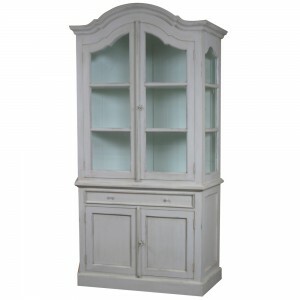 The Fleur French display cabinet is a truly classic piece of furniture. Features a glass display case, silver leaf finish and extensive carvings throughout this beautifully crafted piece of French style furniture. Sitting upon four club feet this display cabinet features three glass shelves internally.